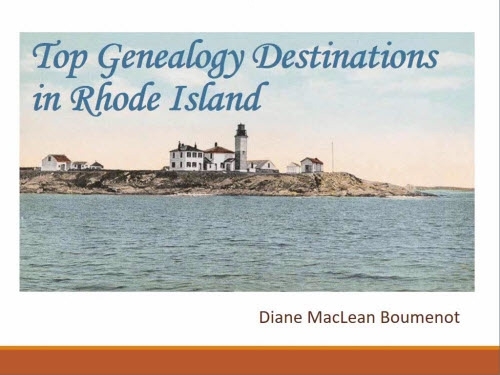 Rhode Island Roots is the journal of the Rhode Island Genealogical Society. It is published four times per year and in the last decade, an extra volume of record transcriptions has also been made available annually to RIGS members. 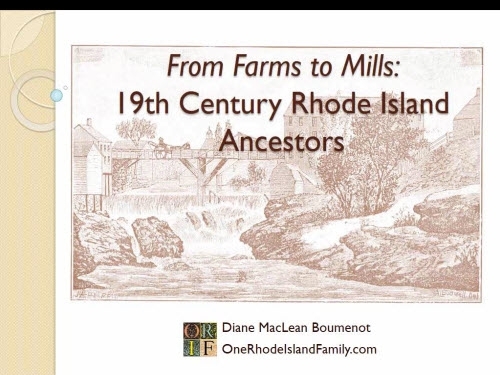 Edited by Cherry Fletcher Bamberg, FASG, with Michael F. Dwyer currently serving as Assistant Editor, Linda Mathew editing the special records volumes, and Geri Clarke producing an annual index of names, Rhode Island Roots is a high quality journal that targets a compact location. We who are researching are extremely lucky to have it. I tried something recently that worked out quite well. Knowing I would be on an airplane all day, I took with me, instead of my usual paperbacks, only several genealogy journals. These included Rhode Island Roots and a few other journals. With nothing else to do, I read every word, from cover to cover. I thought I had been reading them previously, but from editor’s introductions to lists, articles, footnotes and book reviews, it was Rhode Island Roots that surprised me the most. I had been missing a lot. There may be some direct evidence related to your ancestors, for instance they could be mentioned by name in a transcribed list, as a relative of a family being studied, or involved in an event or story under discussion. I think everyone understands this. 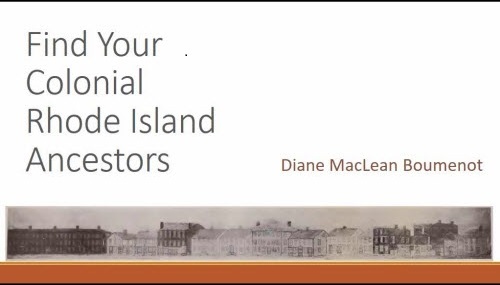 Rhode Island Roots provides an index at the end of each year. I suspect this is the most common use of journals, and that’s unfortunate. Reading well-edited genealogical journals is the best way to learn. How did the researcher find evidence? What were the sources? How did the argument progress, and was it convincing? Did the writer rely on vital records (hardly likely in early Rhode Island!) or did he or she assemble other direct and indirect evidence into a solid case? To what extent would you agree that a reasonably exhaustive search was done, and how was possible counter-evidence treated? It would take me several readings of an article to really know any of these answers. And then, I often find myself wondering how I could assemble clues to solve my own research problems. What I am writing here is not new, it is standard advice that any aspiring genealogist will hear often. Every step taken by the writer is a lesson in local research. For Rhode Island Roots in particular, there is not an article or item that is worth skipping, because the state is too small for that. Where did the writer turn for evidence? What repositories? What books, databases, records, manuscripts, and journals? How did they seem to evaluate the content they were finding? What migration patterns are seen? What laws or local events impacted lives? What evidence was found for various types of activities – seafaring, farming, trades, adoption, immigration, holidays, divorce, crime, education, burial? What type of evidence was available for each town, and where was it found? East Greenwich soldier Phillip Andrew (potentially my 5th great-grandfather if I ever get this solved) appears in a list of French and Indian War soldiers at Fort Stanwix in Rome, New York, recorded in a journal by Beriah Hopkins in 1762. Most likely, this manuscript was not available to Howard M. Chapin when he compiled Rhode Island in the Colonial Wars (1918; reprinted Clearfield, 2010), so it’s interesting to have another source of information about the local soldiers in Philip’s unit, and some of their experiences. ( — Ensign Beriah Hopkins His Book by Rachel Peirce, Rhode Island Roots, 40:1, March, 2014, p. 24-35). An excellent overview of all Warwick, Rhode Island records by Cherry Fletcher Bamberg is very useful. She talks about the existence of various types of early records, what has been complied and published, and where they can be found. ( — Warwick, Rhode Island Records in 1776 by Cherry Fletcher Bamberg, FASG, Rhode Island Roots, 39:4, December, 2013, p. 203-205). If you haven’t read “Aunt Hat” and the Bigamy King by Rachel Peirce, run, don’t walk, to find it. It’s a thoughtful retelling of a difficult story, and while I’m not sure most of us will find a story quite this sensational in our own families, every genealogist struggles with how to tell difficult truths. ( — “Aunt Hat” and the Bigamy King by Rachel Peirce, Rhode Island Roots, 39:3, September, 2013, p. 135-150). Membership for the Rhode Island Genealogical Society runs on a calendar year system, January – December. 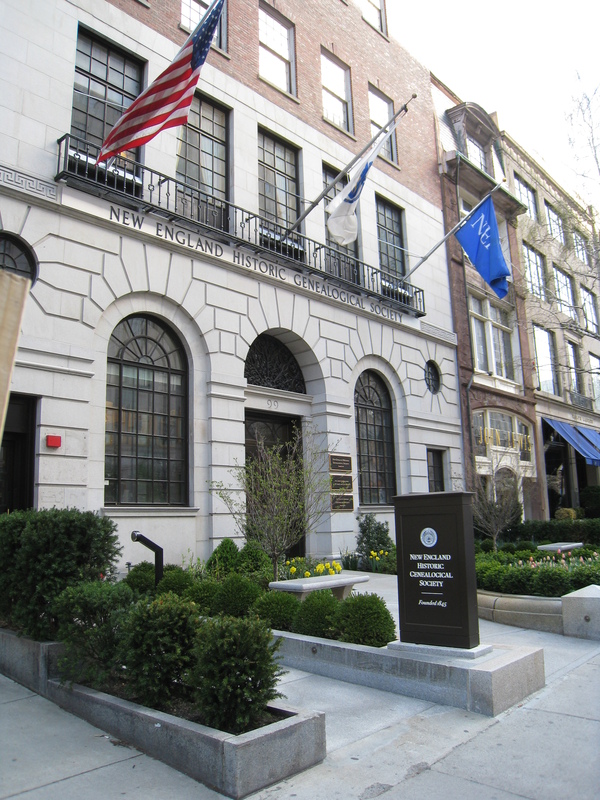 New England Historic Genealogical Society library in Boston. Photo by Diane Boumenot. 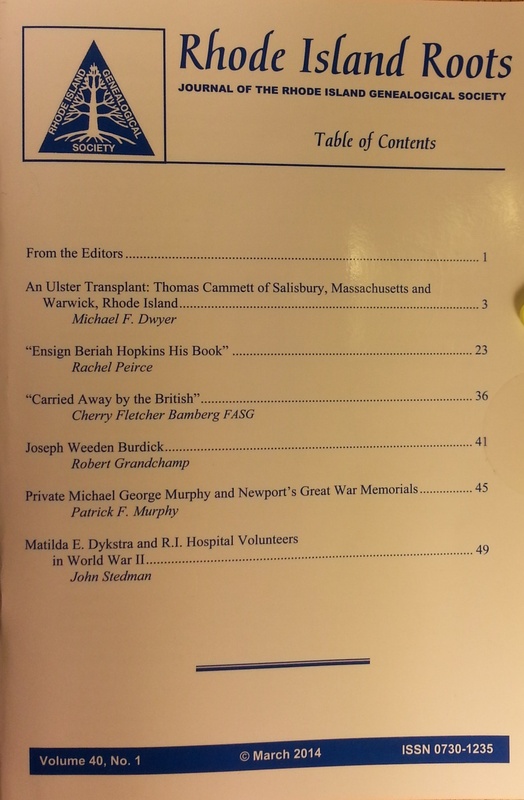 Older issues of the journal are accessible from the New England Historic Genealogical Society website. This page on the RIGS website leads to that. It is always helpful to advocate a new look at something. I just looked again at a record that I’d originally passed over too quickly; it answered an old question that I should have had in-hand a year ago. Thank you Diane! I learn so much from your posts! I just joined RIGS this year. I enjoy their journal but do not read it as closely as you suggested. I will in the future! My only wish is that RIGS offered more local activities throughout the year! I just found my ancestor (I think) Isaac Lathrop on tax records for 1801 at Rome, New York (Ancestry.com). Isaac is also on the 1800 census there. By 1801, his sister Lydia Lathrop Draper apparently had already left Rome with her husband William to join his relatives in Canada. It’s my understanding that years later Lydia died as they were leaving Nauvoo, Illinois, and was buried across the Mississippi River from Nauvoo. William lived in Iowa for a while and then moved to Utah where he served and died. That’s interesting, Sue. That’s a good lead on the 1801 tax records. Another outstanding post and one I will be adding to this week’s Saturday Serendipity! I agree with your assessment of “Rhode Island Roots” and always look forward to receiving a new issue. Thanks, John. I agree, we are fortunate to have such quality work going on in this little corner of the world. Thank you for including me in the Saturday post. Always some good finds in there.